Despite its outward similarities to the Jaguar Mk II, the Daimler 2 ½ litre V8 Saloon was a completely different proposition. 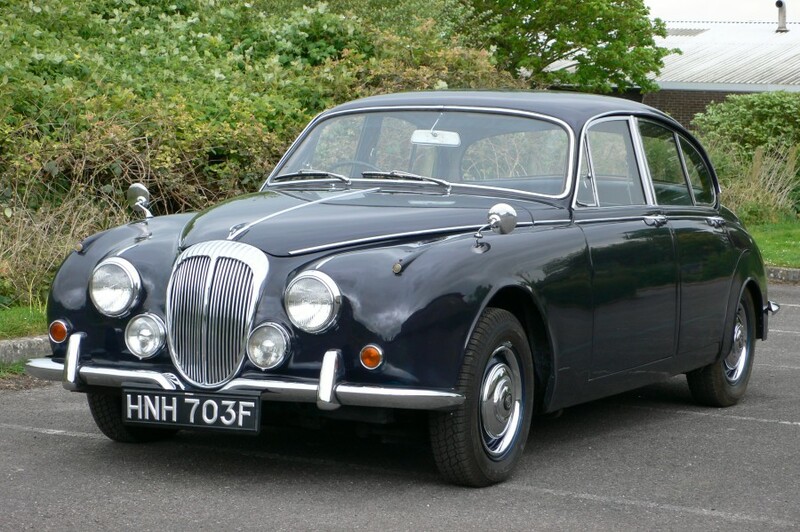 Although it was the first Jaguar designed motor car to sport the Daimler badge, the 2 ½ Litre V8 unit was far more compact and lighter than the Mk II with its six cylinder XK engine. All motor cars were fitted with automatic transmission as standard until 1967 when a manual gearbox became optional. 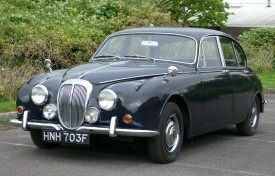 In May 1966 and just three years after its launch, the Daimler 2 ½ litre Saloon was tested by Autocar and found to be efficient, quiet and smooth to drive. The V8 250 arrived in 1967 with improvements such as ventilated leather upholstery, padding over the dashboard, slim bumpers and other refinements. To this day, the models are widely preferred to their Jaguar sibling because of the Edward Turner designed engine. This cherished local example has been the subject of a great deal of expenditure over the last two years or so. 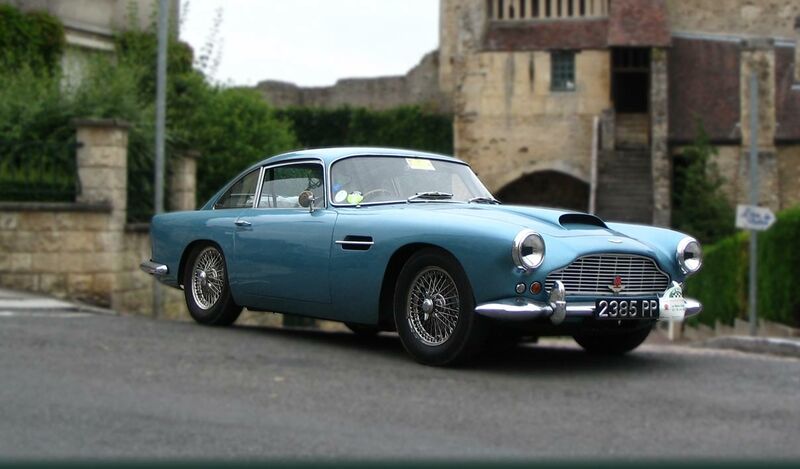 The history file reveals that a new headlining and carpets have bene fitted; the upholstery is the original dark blue and the dashboard and cappings are in very good condition. Attention has been paid to the mechanics: we are informed that a brake overhaul has been carried out with new front and rear discs and pads fitted. Other new components include the petrol tank and sender, fuel pump, alternator and battery. The Daimler sits on new tyres to the front and recent replacements to the rear. All other departments are described by the vendor as good. The chrome is good and the bodywork is sound, original and appears to be rust free. The jacking points have been replaced and most of the original tool kit is present. The history file contains the V5C registration certificate, the V5 document, invoices, correspondence, and an expenditure schedule during the current ownership. This smart Daimler represents good value for money.